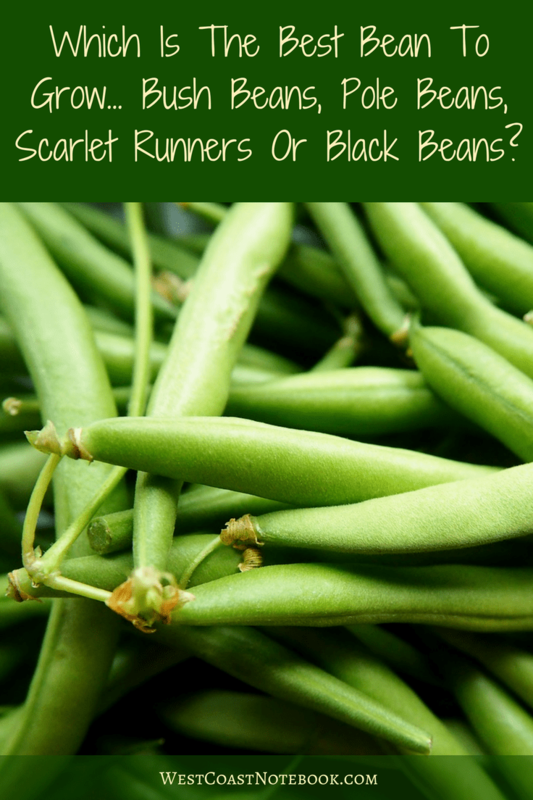 Which Is The Best Bean To Grow... Bush Beans, Pole Beans, Scarlet Runners Or Black Beans? 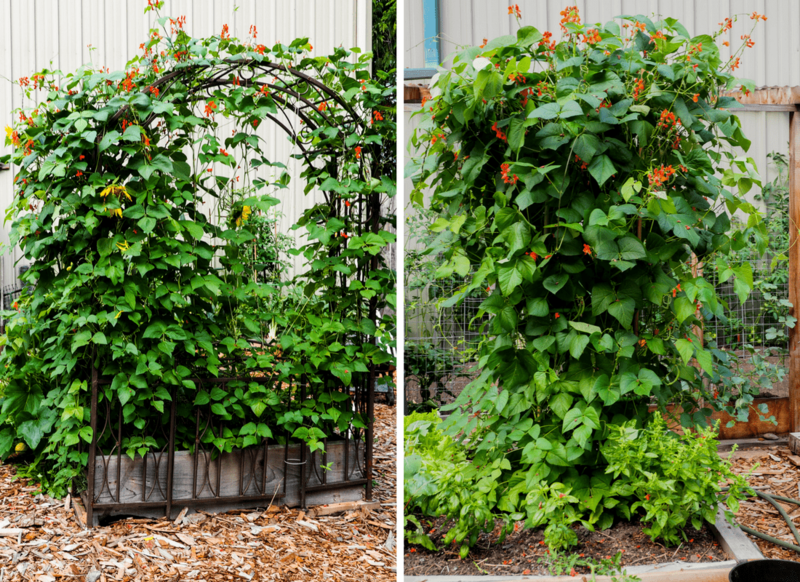 / Which Is The Best Bean To Grow… Bush Beans, Pole Beans, Scarlet Runners Or Black Beans? 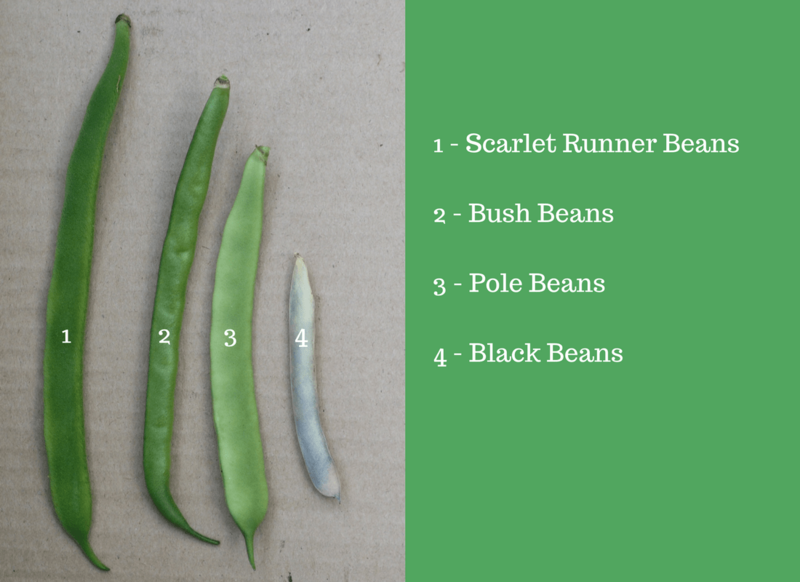 Trying an experiment this year in planting I wanted to see which bean would do the best and be the tastiest… bush beans, pole beans, scarlet runners or black beans. All these beans are grown in raised beds and they all have their pros and cons. I’ll start with the weather. It started out quite wet this spring and along with some mulch I had added to the garden, I acquired slugs. This was unusual as normally I don’t have a problem with them, but after watching my bush beans and scarlet runners being eaten away leaf by leaf, some action was needed. I solved this problem by hand picking at night and also using an organic product called Slug B Gon. That was the start of my year with beans, now we’ll take each one individually. Note: most of the beans were spouted, put into containers in the greenhouse and then planted in the garden as transplants. Also, when I give a score for dehydrating, I’m talking about dehydrating the green beans not the actual beans inside the pod. I’ll start with bush beans as they are my old standby and ones I normally plant every year. The beans were from OSC and were called Tendergreen. As mentioned above I sprouted the seeds first as they were past their due date and I wanted to make sure they were viable. Just put them between a couple of paper towels and add water so the towels are wet, but not soaking. All of them sprouted and grew and once transplanted into the garden I started to watch them grow daily. Until they became stunted. Leaves were gone! Little green stick pointing up out of the ground and not a culprit in sight. Meanwhile, I started some more transplants and became a detective. That is when I discovered the slugs and took action. I pulled back all the mulch away from the bean plants and took stock. There was little or no beans left and I feared that even if they did come back they wouldn’t be very hardy. So after planting more transplants and only losing about 1/2 of them to the slugs I just stuck some seeds in the garden where there were spaces missing. This actually turned out quite well as it was succession planting and a longer bean season. In the hot part of August, the beans started losing some of their growth and holes were appearing in the leaves. Didn’t appear to be slugs but there are other pests that seem partial to bush beans especially in mid-summer. The pole beans were easy to grow and very hardy. 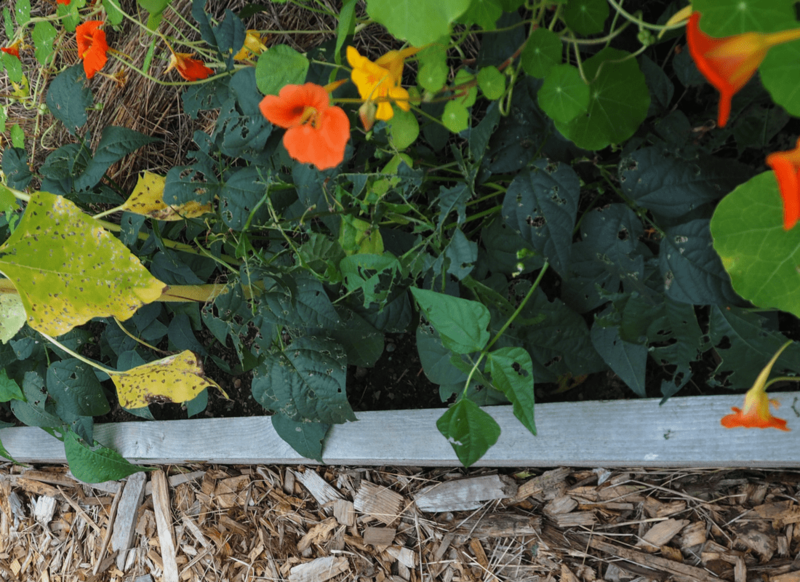 Even though they were planted in the same bed and at the same time as the bush beans, they didn’t suffer the slug problem. The beans are an Italian Romano variety and the company that I got them from no longer carries them. Here is a company that does so you can read up on them if interested. They are a flat bean that is best eaten young or left to mature and used as dried beans. We have been eating them while they are still young and even though I only planted 3 plants there were lots of beans for meals, but if I wanted to dry them, I would plant a few more. These also were from old seed and only 3 sprouted, hence 3 plants, so it’s always good to check your seed dates and if not sure, sprout first before planting. As I only had 3 plants I put them at the base of my teepee trellis where I had also planted nasturtiums and sweet peas. Won’t do that again either. 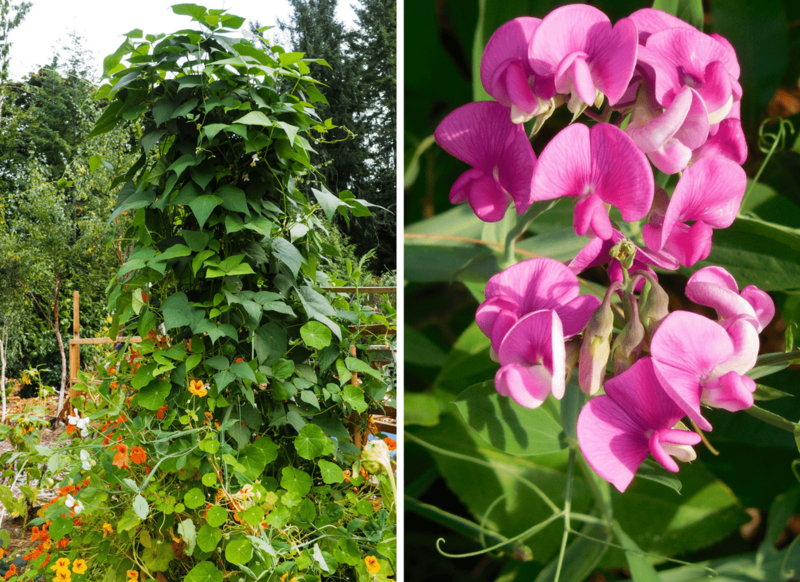 Love the flowers and the smell of sweet peas as I’m picking the beans, but it makes the beans really hard to find. Next year I think I will replace them with green jade pole beans or the Kentucky blue as they are more like the bush bean variety Tendergeen and would dehydrate better. I loved the scarlet runners particularly for their flowers which attracted the hummingbirds. The seeds were from westcoastseeds.com and are called Scarlet Emperor. Like the bush beans, they also were plagued with slugs but even more so. I planted them three times and still lost half the plants. Very disheartening. Just when I thought they weren’t going to be very productive, I decided to replant them again in another raised bed using a new trellis system that I made. The first scarlet beans were planted mid-May and I planted the ones in a different bed at the end of June. Interesting enough, they both started producing at the same time. The only thing I can think of is that the soil was much warmer when I planted in the new bed and so the plants grew quicker. The beans are very tasty when they are small, but can get tough and little tasteless when they get big. As this is my first year with them, we are eating them when they are young and small and I’m letting the ones that I missed and have gotten big on the vine. Later this fall I will pick them, shell them and save the seeds for next year as well as using them for cooking. They are supposed to make an excellent dried bean and store well. Black beans were a new crop this year as well. I have never really tried growing dried beans before so thought this might be a good place to start. Not wanting to take up a lot of garden space with a plant I knew nothing about, it was given 3 very short rows in the raised bed. Each row was about 4 feet long and the rows were spaced about 6 inches apart. Really should have been wider, but hey… that’s what you get for not reading the instructions which say rows should be 18-24 inches apart. 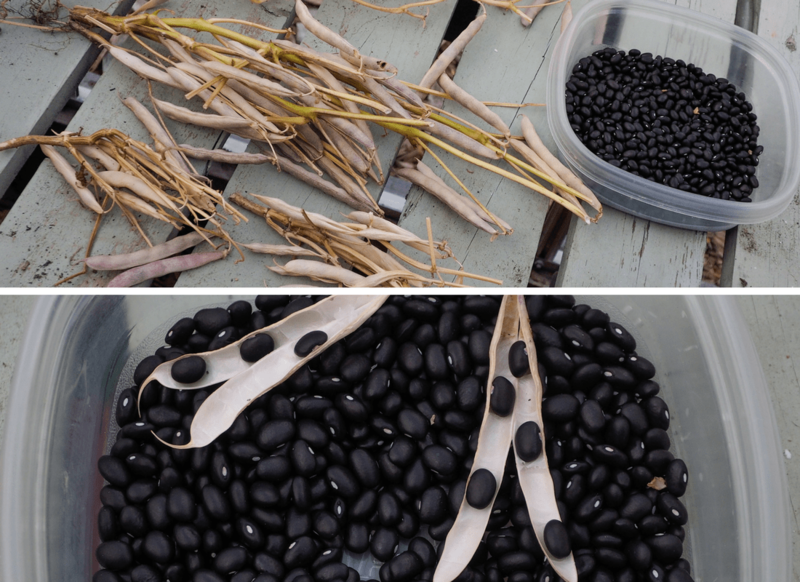 The beans planted were called Black Turtle Beans and are a bush bean. They recommended some support for the plants, but I found mine didn’t need it. They had very little slug damage and grew into nice bushy plants that I think produced quite well. Out of the 3 short rows, I got exactly 1 cup of beans. It was fun watching them growing green and then turning brown and becoming crisp. They grow two beans off of a stem and I found that I just used a pair of scissors to cut them off just before the fork. Then it was a matter of just sitting in the sun, shelling beans. You just press on the seams and the pod breaks open revealing the little black beans inside. Easy! The only con I can think of is it’s time-consuming to shell the beans afterwards, but you can bring them indoors and do it while you’re watching TV. Which Bean Was The Best? I guess my answer would be it depends on what you are using them for. 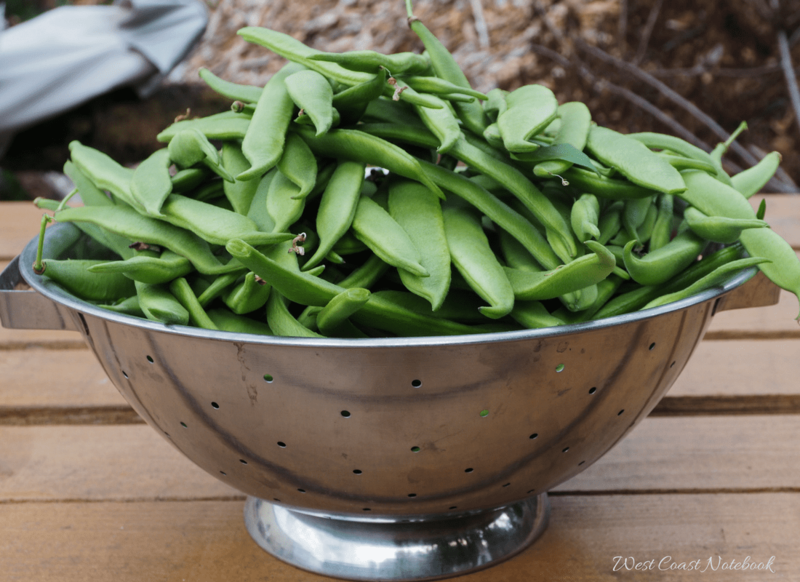 For green beans, I found the bush beans the most flavourful and the best for dehydrating, but the slugs liked them too much. I didn’t like the variety of pole beans that I grew, so next year will try and find a variety similar to the bush beans but that is a pole bean. That will keep them up off the ground and away from the slugs. Also, they take up less space when grown vertically. Scarlet runners will always be a part of the garden just for the hummingbird flowers alone. I’m interested in seeing how the dried beans come out and I might just grow two sets again, one for drying and one for eating when they are small. The black beans were a big hit, and I’m going to be planting more of those next year (depending on the taste of course) and I might try some other dried beans as well. Overall it was a good bean season.